At Denali Princess Wilderness Lodge, we adore each and every one of our guests, even when they’re a bit unexpected. 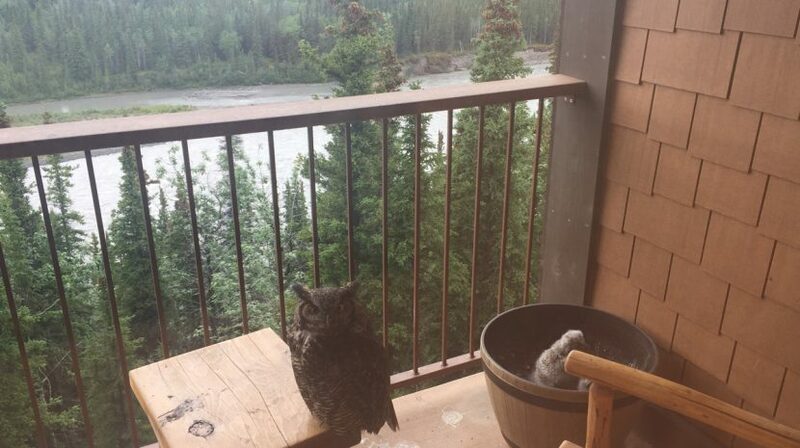 Last spring, our staff was surprised to discover a pair of great horned owls nesting in a flower box on the balcony of one of our Denali Princess suites. They clearly had an eye for real estate – the balcony overlooked the Nenana River and Denali National Park, truly a five-star view. The two owls had already laid eggs and had made themselves at home. When staff called the Alaska Department of Fish and Game to see what type of action should be taken, the official word was to leave the owls be. And that’s exactly what we did. Over the course of the summer, the expecting owl family went about their lives. The baby owls hatched in the springtime and in the months that ensued, Princess staffers were able to observe the family through tiny holes in plywood that they’d used to cover the windows and door to the balcony. 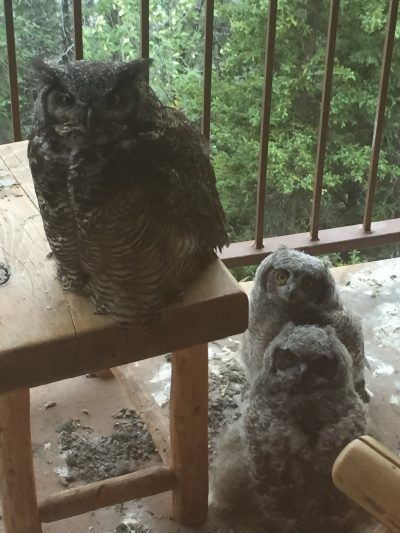 Even guests were able to see the owl family grow from the view of the community deck. It was a wonderful addition to the summer season. On July 22, the family flew the coop and staff readied “the Owl Suite” for future human guests. When you’re staying at our property next summer, ask staff about the owls that made Denali Princess Wilderness Lodge a brief family home.